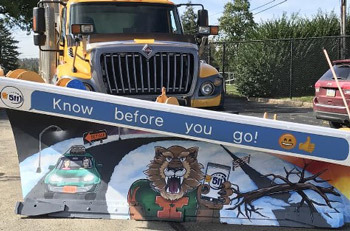 Congratulations to Yough High School on winning the PennDOT District 12 “Paint the Plow” contest. Not only did the school win the fan favorite award based upon Facebook likes, but the school’s entry also was named co-winner for Westmoreland County by a panel of judges. Jeannette City’s entry placed third on Facebook, and Central Westmoreland Career and Technology Center received fourth place.